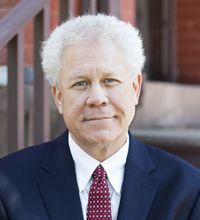 Richard Osmer is Princeton Theological Seminary’s Ralph B. and Helen S. Ashenfelter Professor of Mission and Evangelism. He holds an MDiv from Yale University and a PhD from Emory University. His interests include the teaching ministry of congregations, practical theology, and interdisciplinary thinking, and his courses cover educational psychology and practical theology, children’s literature in Christian moral education, confirmation and catechism, and the social functions of religion, ethics, and education in theories of modernity and postmodernity. An ordained Presbyterian minister, he chairs the Committee to Write New Catechisms for the Presbyterian Church (USA).